is scientifically formulated with botanical extracts, essential oils and enriching nutrients to revitalize hair from the inside out. The cruelty free, DEA free, shampoos, conditioners, styling products and hair care therapies are 100% vegan and harness the healing power of nature for pure performance. Free of animal proteins and carcinogens, ABBA embraces a global concept of high quality and value without compromising the environment. 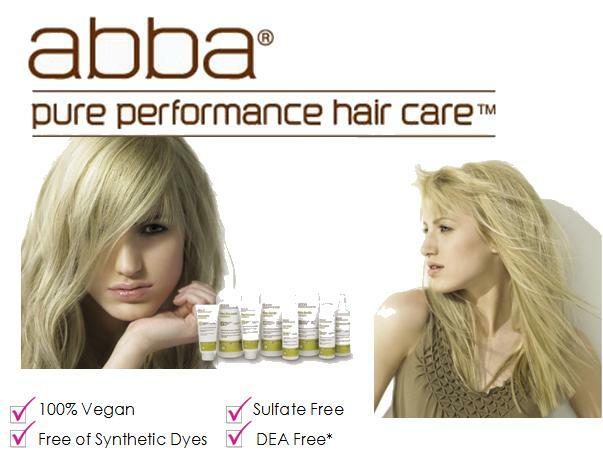 All ABBA products are eco-sensitive salon formulations free of sulfates and synthetic dyes, and are designed to treat specific hair needs. Whether you are looking to add balance, moisture, or shine, maintain curls or color or just detoxify, you can experience the latest in plant, herbal and aroma therapies with ABBA, the secret to beautiful hair.